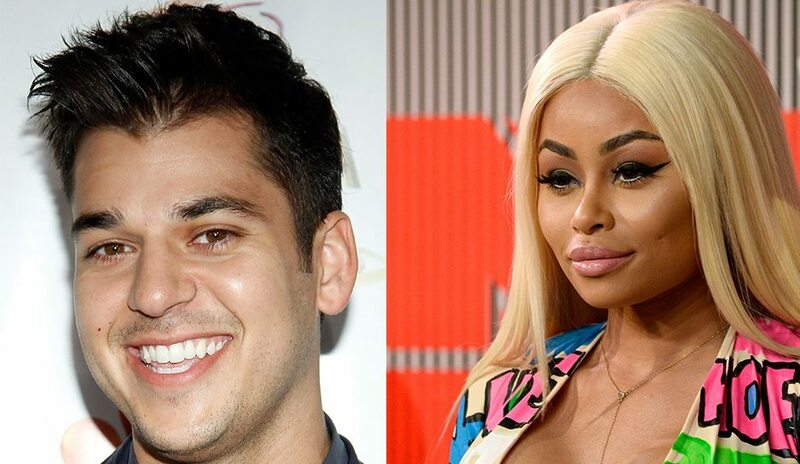 Straight out of the drama that “reality” TV brings with it, Kardashian heir, Robert Kardashian seems to have official gotten engaged to model and mompreneur, Blac Chyna. Taking to social media (as every damn celebrity seems to be doing nowadays to get as much attention as possible, but we digress), the twosome posted pictures of the bride-to-be with a sparkler worth hundreds of thousands of dollars on that finger. Fellow attention grabber, Amber Rose also congratulated the couple through her Instagram account, though Rob’s loud family, the Kardashians, are yet to respond. In case you are someone living under a rock and not in touch with social media (good for you! ), Robert Kardashian is the youngest brother to Kourtney, Kim and Khloé Kardashian, and son of the late Robert Kardashian and Kris Jenner. Blac Chyna, on the other hand, is a well known tossed-around stripper who was name-dropped by several artists, including Nicki Minaj, Kanye West and 2 Chainz. She dated rapper Tyga and the two had a baby together, King Cairo Stevenson. After their break-up, Tyga began dating then underage reality star and step-sister of the Kardashians, Kylie Jenner. Blac Chyna was very vocal about it and the two often exchanged heated words over social media (again!) about the sacrilegious union. It seems that Chyna took the opportunity to garner public attention and it somehow brought her closer to Rob, who at the time was in hiding because of his weight gain and ultimate hospitalization for diabetes. The past few months have been about the media covering their escapades as their trotted around town together, looking smitten and Rob seeming to be happier than ever, crediting the stripper for his weight loss and boost in self confidence. It seems that things are going well for them, because they are now making it official, a couple of weeks after Rob’s birthday, that he spent with her and his soon-to-be stepson, instead of with his attention hungry family. We wish them both a happy and media covered trip down the aisle.